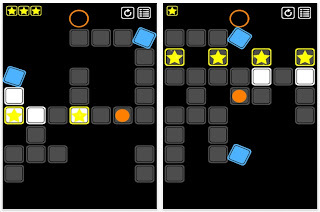 Puzzle Blocks HD is maze type puzzle. The object is to move your red dot along the black squares to get to the open red circle. Along the way, pick up the yellow stars. 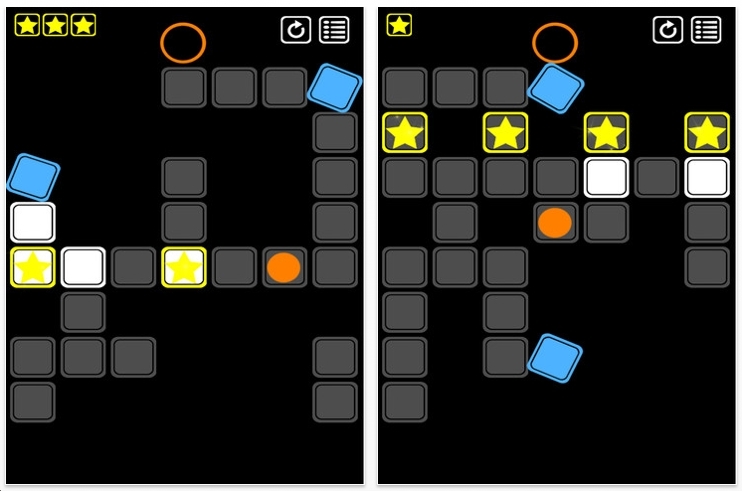 White squares: can be traversed twice. Black squares disappear after you pass over them. The blue squares act as a single wormhole. There are 20 free puzzles. I've done them all. After that, each set costs $.99. I like this puzzle app.